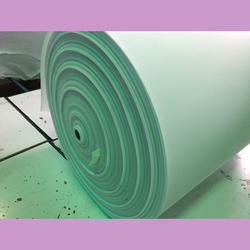 Offering you a complete choice of products which include pu foam sheet roll and quilting foam. We have production manufacturing capacity more than 60,000MT PU Foam per annum and having 1500 employees across the 15 Factories/Branches in India. We have world’s best high pressure renowned Hennecke Foaming Plant and State-of-the art world best machines in all the plant in India. The PU Foam is available in various densities, colour, length and width.